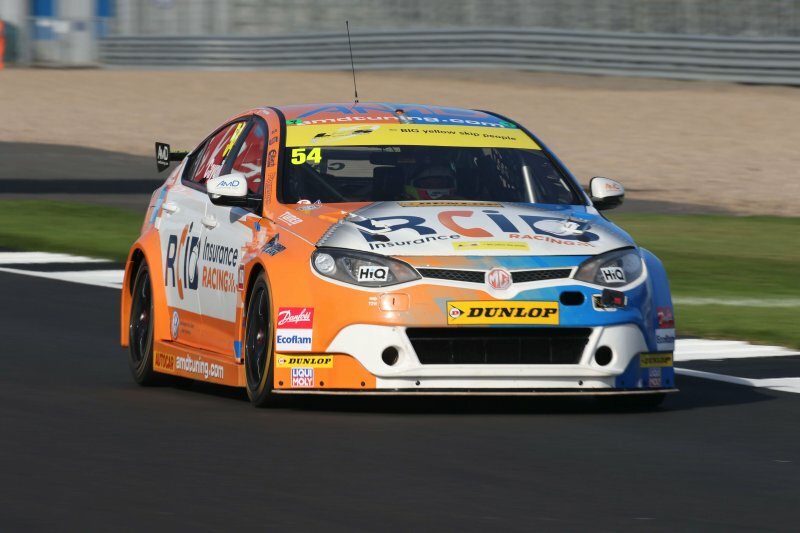 18 September 2018 – The AmD with AutoAid/RCIB Insurance Racing put more points on the board as the Dunlop MSA British Touring Car Championship headed for Silverstone for the penultimate meeting of the year. Team-mate Josh, from Holmfirth in Yorkshire, was forced to contend with carrying additional ballast into the weekend as a new entry to the series, which played a part in him qualifying in 30th place for his debut race. The team fitted a new radiator ahead of race three but a misfire developed in the early stages as a legacy of ECU damage from the earlier overheating and he was again forced to bring his car in to retire. “Qualifying was a bit frustrating because I know there was more time in the car. However, I kept encountering people in the final sector which meant I couldn’t get the ideal lap, and the extra tenth of a second would have moved us right up the grid with the times being so close. Thanks again to Marc Waller for the photography!